A Tahoe stonefly is one of the small critters living on the bottom of Lake Tahoe that is in decline. A survey found that the stonefly population is down 94 percent from the 1960s. — Click here to learn more about the decline of Lake Tahoe invertebrates. — Visit terc.ucdavis.edu/stateofthelake to view the 2014 State of the Lake report. LAKE TAHOE — The number of small critters living on the bottom of Lake Tahoe is declining at dramatic rates, and scientists say that could have ripple effects for its future health. A survey of the lake has revealed the population of most bottom-dwellers the size of a thumbnail or smaller have decreased between 99.9 percent and 34 percent since the 1960s. 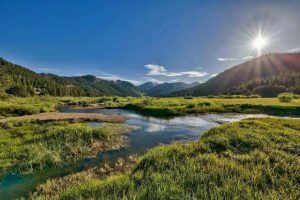 Some declining species include the Tahoe flatworm and blind amphipod at 99.9 percent, Tahoe deepwater stonefly (94 percent), Tahoe seed shrimp (83 percent), segmented worms (57 percent) and non-bitting midges (34 percent). While the reason for their decline is unknown, it’s believed one contributing factor maybe the introduction or increased populations of nonnative species since the 1960s. Invasive species such as the signal crayfish ­— whose numbers have doubled since the ‘60s — are like “little cattle in the landscape feeding on plants and invertebrates,” as they migrate, Chandra said. Another possibility is impact to their preferred habitats (plants for most species) as a result of a decrease in Lake Tahoe’s clarity. 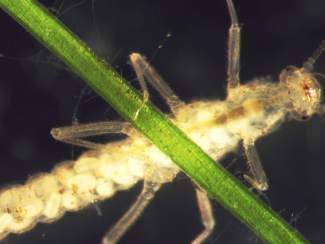 Loss of invertebrates could cause changes to the lake’s ecosystem, impacting clarity as a result, Chandra said, although more study and funding are needed. While most lake research over the years has focused on understanding clarity changes, Chandra said open water where clarity is measured and Lake Tahoe’s bottom are linked. 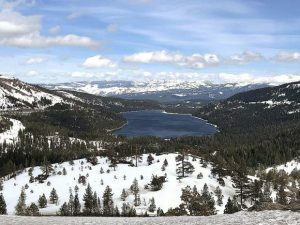 This comes when UC Davis Tahoe Environmental Research Center released its annual State of the Lake report on Thursday. The 2014 report found that 2013 lake clarity was consistent with a recent trend of slowing down the former rate of degradation, with an average value of 75.3 feet. That value is five feet less than the previous year; the decline is attributed to a wet December 2012. Summer clarity was nearly the same as 2012’s value at 63.8 feet, which was an improvement by more than 13 feet from 2011. 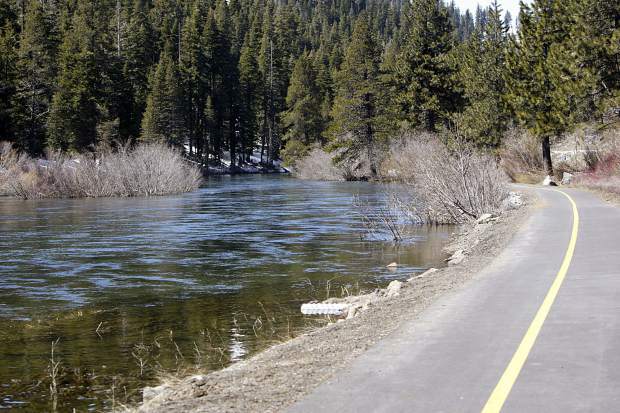 Lack of rain from the drought impacted 2013 clarity levels, reducing fine sediment flow into the lake, according to the report, which also points to climate change becoming a growing concern for Tahoe’s future health. The State of the Lake report summarize how natural variability, long-term change and human activity affects the lake’s clarity, physics, chemistry and biology over time. Look for a deeper story about the report next week in the Sierra Sun.